My engine seems happiest when my GPS speedometer is reading 32 mph. 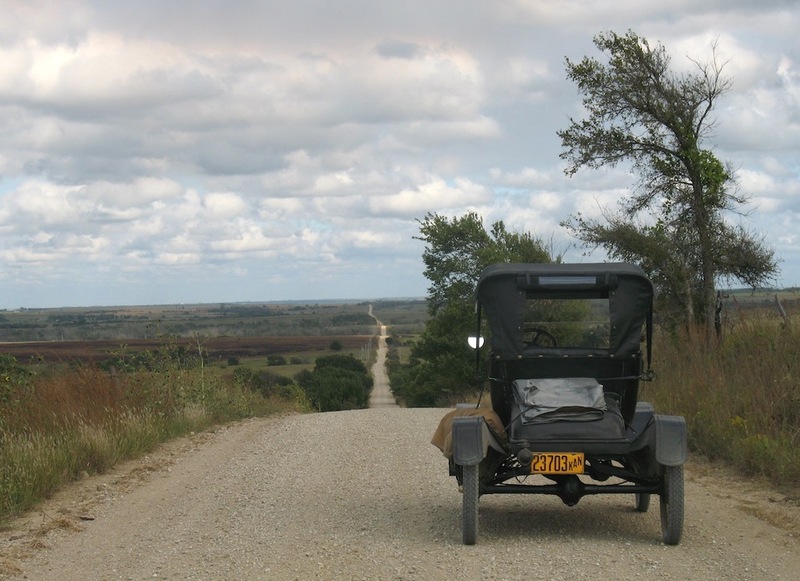 What's your Model T's happiest cruising speed? I concur. 30-35 according to my very accurate OE Stewart speedometer. Will year and body type perhaps factor in ? 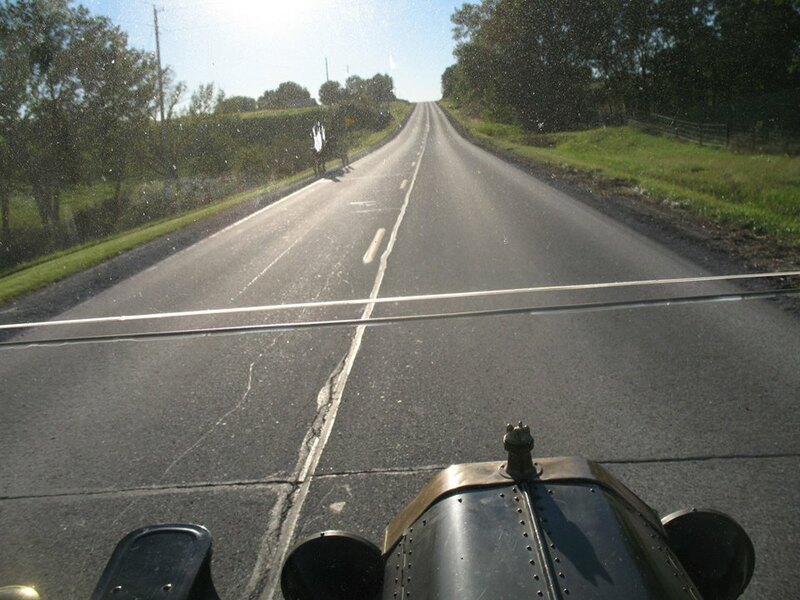 Lizzie is a 1913 runabout, I generally roll with the top up and the rear curtain furled. I might add, she likes it best at somewhere around 60 degrees outside. Yup, I�d say between 30-35. I do drive up to 40 on occasion and have had it up to 47ish .... but clearly the engine doesn�t really like such high rpms given the standard rear axle. The 26 RPU is happy at 28-30 mph. Im good with that also. The ol' TT has low speed rear end gears and a Muncie. Flat out in high/high my wife clocked me at 32 MPH, but that's screaming. 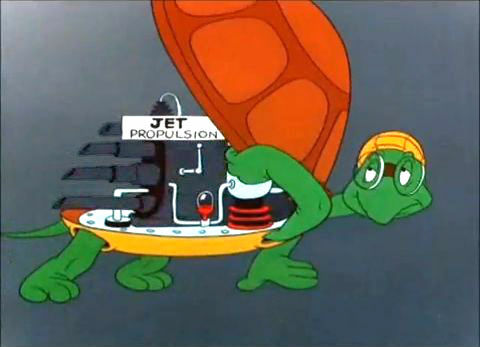 It's much more comfortable at around 23-25 MPH. I should add...she's cool with cruising around 65mph...when I hit the nitrous oxide switch, but only for 60 seconds or so !! My 27 Tudor with OD 47-50, 26 Roadster 42-45, 25 TT with high speed worm gear 33. My �26 Runabout likes 35-40. Sometimes I find myself doing 45+. At this speed, the engine still seems fairly happy and car is stable with regards to steering etc. This is with totally refurbished steering components. Even though I have RM brakes, I wouldn�t want to make and emergency stop at the higher speed. 20-25MPH. Used to be faster... but she's getting tired. In my mind that's the bigger question. How fast a T will go should be limited by it's ability to stop, not horsepower. Mine stops on a dime...as long as said dime is glued to a brick wall !! No special modifications for speed, so 35-38. "...that's too slow for the highway..." depends on the highway. A US highway (or former US highway) that parallels an interstate often is almost empty. What is that on the left, a horse, Steve ? Amish buggy, hidden by a windshield bug. Yes, you can get a splatter at 30 mph. You must have slow bugs in KS. 33 seems perfect to me. I have one that can go over 60. Some would not make 20 in my beginnings. Most pleasant at 33. Depending on the road, 35 to 40. 3:1 gearing. 1915 touring car with more or less stock engine. Distributor, Stripe 280 cam, and shaved low head. I will occasionally do 45 if it is a really nice road and traffic justifies it. I'm thinking 30-32 with a '15 touring. I'm likely just a sissy with the wood spokes. I believe the engine is all stock. I have a cell phone mount on my window (along with an EZPass... he he he he.. no, really) and I use the GPS. My Steward shows a tad slower than she is actually running.. Separate comment... can you 'adjust' the Stewart speedo to dial-in closer to the actual speed? Based on 55 years of driving T's I believe my engines last many times longer at 33 than at 45 to 50. Others rebuild better engines than I do and results may vary. Steve, that can not be Kansas in the photo. That looks like a hill to me! This is a Kansas Hill. To add a little bit to this. I�ve found that if I�m driving ordinary roads that if I figure a AVERAGE of 27mph for a 2 or 3 hour trip works out to a comfortable drive!! 35 + or - . I got up to 49 once on a long downhill. I don't plan on doing it again. I figure the 27 roadster likes around 30 mph. It stops very quickly at that speed with the original wide brake band . 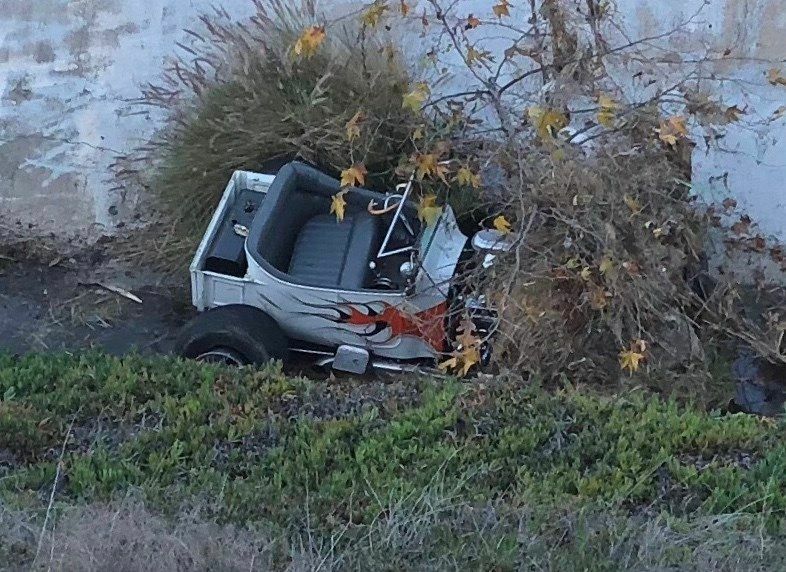 SAN DIEGO (CNS) - A man was hospitalized Friday after the antique car he was riding in crashed in Clairemont Mesa, police said. Paramedics had to take the driver to a hospital to be treated for head trauma, though his injuries weren't considered life-threatening, Heims said. The passenger escaped with only minor bumps and bruises. My bone stock '14 touring car is very happy at 32 to 33 mph. At 35 it starts to run a little hot, It starts to make noise around 37, at 40 the noise seems to go away, but it has to be a pretty cool day to sustain 40 without overheating. Fastest I have ever went is 45 on a 40 degree day. Compare that to a Model A where I catch myself accidentally doing 50. The person that bought the last T before the A was likely disappointed. I love my T, but the A is way more car. 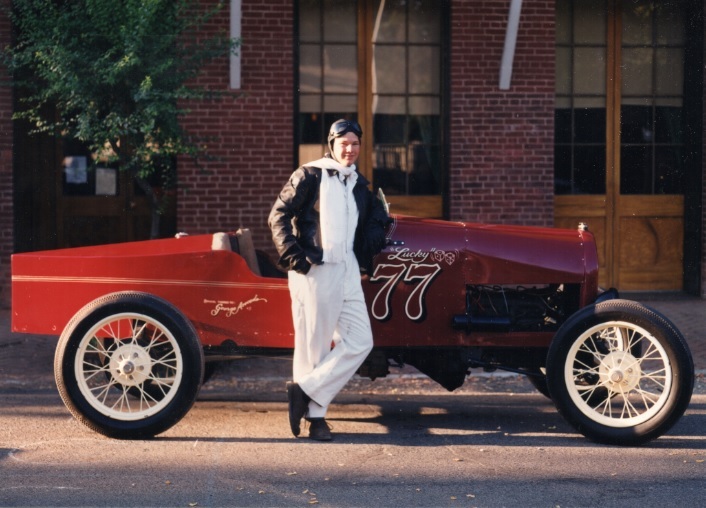 My 21 touring with standard gears is very comfortable at 35 20 40 miles per hour but it is easier to drive at 25 to 30. 55 to 60,in the race car. 35 for all the others. All have standard gears. Mine is equally grumpy at all speeds. Each of mine seems to run best at a different speed but they are all between 28 and 35. I can comfortably drive my 13 at about 35-37. The 26 Touring will easily do 50 but can manage gusts up to 54 with the top down (according to my wife in a 2015 Yukon directly behind me). With the tops up both cars drop about 5 MPH. My dad had put a roll up rear curtain in the top, not correct for a 24 touring, but quite functional. Tops are like a big parachute and the wind gusts can whip you all over the road. I don't have a speedometer, but when I go fast, it feels like 100 in a modern car, until someone passes me! I have passed a meter which says how fast I am going and it said about 42. I can go faster but even at that speed, don't want to over drive the brakes. I can slide the rear tires with the Rocky Mountain brakes but it still moves with the tires sliding, so I don't want to go too fast. I agree with Joe F.....30 is tops for my T�s and 40-45 tops for the Model A. Those are my most comfortable overall speeds. 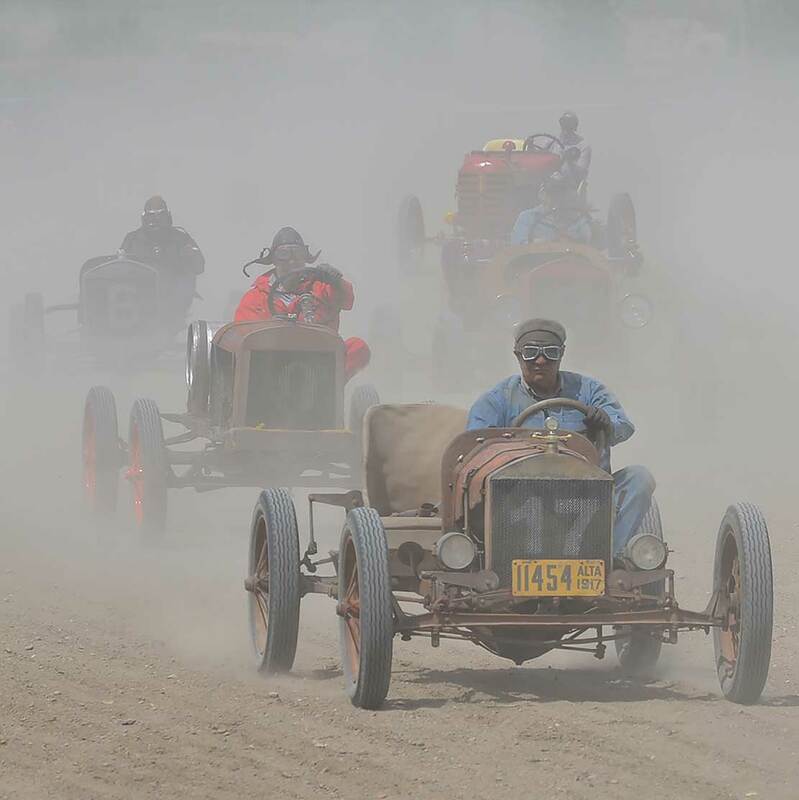 It depends on how dusty the track is. My camper T liked 70 kph (40 mph). It would pull the camping trailer at 50 mph (good electric brakes on the trailer), but 40 mph was more relaxing. I typically cruise in my 26 coupe at 35 mph. I have had it up past 50, but it starts to get kinda noisy at 45. Just turn up the radio !! I just turn my hearing aids off! I never hear excessive engine noise, rattles, squeaks, or other objectionable noises. I just leave my hearing aids home. What ever happened to #77? My primitive pickup with 3:1 and a milled Prus head likes 25-35 and 45-55, but not 38-43 mph, it gets an unpleasant unbalance at that speed that I try to avoid. She should be somewhere up in your area. I will take a look around. My 1911 with standard gears likes 35-40. My 1915 and 1919 with 3:1 gears like 40-45. No speedometer and seldom bother with GPS, so I can't be sure, but I'm gonna say between 35 and 40. I've had it over 45, but that is just pushing it too hard. I'd be lying if I said I never exceed 35, though. You can put me in the 33-36 category. My T seems pretty happy at that speed. one with higher speed gearing - 33mph average. I'm with Kep. My 26 Touring is tired and sounds strained above 40 kph (25 mph). I don't see any Montana 500 guys posting here about where their cars are "happiest". I guess it would be above 50 for sure? My Torpedo likes 40 to 55 if the road and traffic is good. Dyna Beads and engine balancing is critical. My 26 Touring hums along fine at anywhere from 25-45 mph. There really isn't much difference in smoothness anywhere in that range. When you can adjust for timing and carb changes, that really helps get the best performance at any rpm. So what it really comes down to is what is the driving speed I really enjoy the most, and that's right around 25-30 mph. I enjoy taking my time and seeing all the things I miss when normally zooming right by in the F150. The truck gets me from point A to B. The Model T gives me a driving experience I just never get in the new vehicle or get tired of. My experience in my 26 cut off touring is about the same as Kevin�s above. The T doesn�t much seem to care. The "sweet spot for my '27 is 34 gps miles per hour. MINE IS JUST HAPPY TO GET OUT, interesting to compare a 96 model t to a 96 year old human, there both beautiful in there own way.